PAINT CAN OPENER, CAULK SQUEEGEE, HEX KEYS- 3mm AND 1/8"
SAVE OVER 50% ON PAINTING MULTI TOOLS! 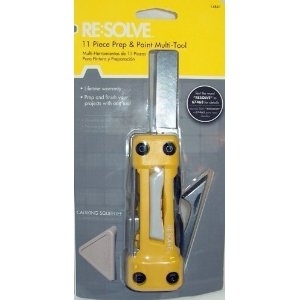 THIS 11 PIECE PREP AND PAINTERS 11 IN 1 MULTI TOOL IS A MOST FOR EVERY PAINTER. IT WILL MAKE YOUR JOB EASY & FAST !